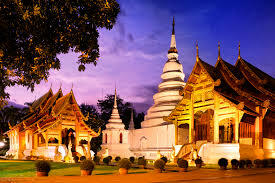 Book cheaper car hire in Bangkok - Compare Minivan, MPV & SUV rental in Bangkok City & Airports. Need good quality, discounted car hire in Bangkok? Compare and book with us, as we are Thailand specialists. We can offer the full range of rental cars including small budget economy class, SUV, MPV and minibuses that can accommodate seven, ten or twelve people. Extras such as child seats or multi lingual GPS can be added during the booking phase or added later. We compare some of the best companies in Bangkok including Budget, Sixt, Hertz, National and Thai Rent a Car. If want peace of mind with Zero Excess, then Budget, Hertz and National all have these rates, whereas Sixt & Thai Rent you need pay about THB200/day extra locally, to reduce the small excess. One ways can be done, but each supplier has their own quirks, so best get an email quote and email us for best option. Some are free, if rental a certain number of days and some charge a fee every time. All self drive rental cars in Bangkok come with free miles also called unlimited mileage. Driving in Bangkok, is not for the feint-hearted. If you have a prang, you will probably wait an hour or two, for the insurance company to come to the scene of the accident. However, once you get the hang of it and say driving to a destination outside of Bangkok, then getting on the expressway early does help. Sat Nav certainly helps, but unless you know the city, or can stick to expressways, then Bangkok can be a nightmare. Driving your rental car in the rain can make you wish you left the car at the hotel and stayed in! Some of the many options in Bangkok include the ECO Friendly cars, such as the Nissan March or Honda Brio. Other favourites, are the The Toyota Yaris, Honda Jazz, Honda City and the ever popular Hilux Pickup. The larger SUV and Minibus can go like hotcakes in peak season, so best reserve early, pay later. Passing through immigration is usually without delay, depending on beating the other passengers on your flight. Get in the right hand side two queues, as if get busy, they pass you through the Thai and Diplomat channels when empty, so speeds things up. Taxi's are to be found outside the airport on the ground floor. Check your flight information to establish which airport you will be using. Compare costs for getting a motor in Bangkok. We have great discounts on SUV and minibus prices. Book early if driving in peak season around Bangkok. What with Bangkok's traffic, and distance between the two airports, arriving at the wrong airport, will undoubtedly lead to you missing your flight. Always allow more time for encountering a delay in Bangkok's infamous traffic snarl ups. If going by taxi, then use of the phrase "lottit maak" (lots of traffic), will bring a smile to your driver, as he is constantly used to lots of traffic. When arriving at the airport, you have the option of using the local taxi or bus. If get tired of driving your around Bangkok, then can go shopping. Catch the Skytrain to Siam Square, Siam Paragon or the Emporium Department Store. Shopping is best done at night time. Department stores open late and stay open late. Then there are the night markets, like Pat Pong off Silom Road, in the CBD (Central Business District). Leave your hire car at the hotel, as doubt your boot will be big enough, once gone past all of the vendors selling their wares. As always, buyer beware as some are fake items, so do barter down the prices. Nearby, the Night Bazaar, on Rama IV, provides a more comfortable shopping experience. The night bazaar can be accessed from the underground subway at the top of Silom. Parking space for you hire car will be hard to come by. For genuine Thai handicrafts, we recommend still leave your vehicle at your hotel, and go to Chatuchak market, at the end of the Skytrain. It opens at the weekends and is accessible by both skytrain and subway. It will be very hot so bring lots of water! Shipping home of items can also be arranged at this market, by DHL. Suvarnabhumi is Bangkok's new international airport opened in September 2006. It is built east of Bangkok, on the old Cobra Swamp. The new location allows easy access to Pattaya and beyond. Train - Catch the train from the airport to the centre of Bangkok. You have a choice of the express train, or catch the city stopper, that takes 30 minutes. Taxi - Metered Taxis are very cheap. Always ensure they switch on the meter. Any problems, it best to get out of taxi and get the next one. 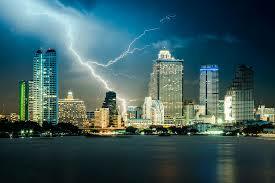 By Car - rent a car in Bangkok. Whilst notorious for its traffic jams, the driving conditions have improved with the opening of the mass transit systems, Skytrain, MTS (Underground) and BTS (Bus lane). If you are staying for any length of time, or intend to travel to nearby resorts, a rental car is a good option. 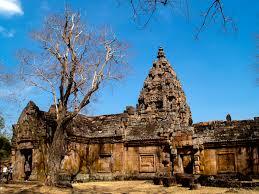 Get a Sat Nav/GPS for car rentals throughout Thailand. Tuk Tuk - Not always the safest way to travel (but perhaps safer than a moto-taxi),but if only travelling a short distance, it is fun, but agree a fee first.